Marel Electric is a full-service, licensed and insured electrical contractor servicing all of Long Island. We provide professional, experienced services including new installations to homes and businesses, repairs, maintenance and diagnostic troubleshooting. We are known for service excellence, high quality work, competitive pricing, honesty, reliability, and integrity. 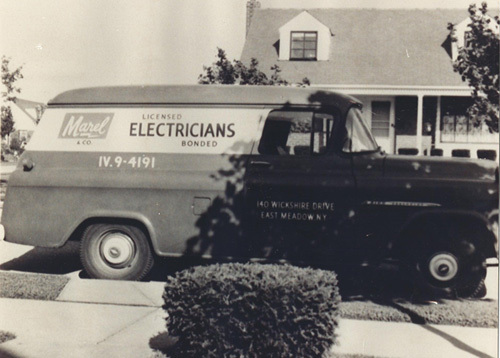 A family-owned business since 1955, Marel Electric has been involved with a broad range of projects ranging from repairs and maintenance on switches, outlets, and circuit breakers to renovation and/or new construction on custom homes, strip malls, knitting mills, food processing facilities with full automation. Customer services include: service upgrades, air conditioning and major appliance electric line upgrades, energy-efficient lighting for both indoor and outdoor lighting, pool and hot tub wiring. Full generator installations provided with transfer switches—within a minute, your home will be heated, lights and appliances ready for use, for all of your needs and comfort. Each and every customer and each job site receive personal attention to detail, unparalleled pride in our work and customer relations. We guarantee it! Our experienced and friendly technicians service all of Nassau and Suffolk Counties, including every town and village therein requiring separate licenses. Gary Marel, 2nd generation Master Electrician, insures precision attention to detail and customer service. Deal directly with the owner—an experienced, licensed and insured electrical contractor. All work performed in accordance with National Electrical Code and Standards.